Madison, WI Union Terrace University Boats Tichnor c1940s Linen Postcard Unused! 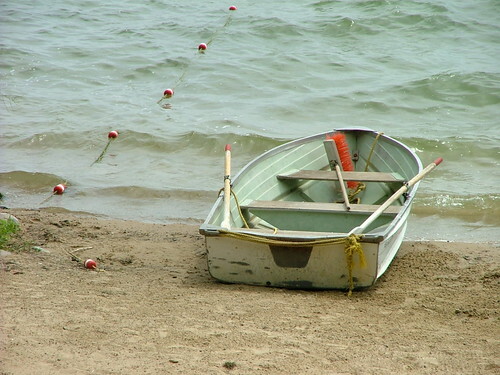 Empty row boat (used by lifeguards) on the shore of B.B. Clarke Beach in Madison.